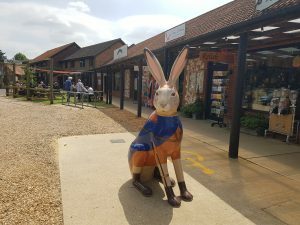 Dalegate Market and Deepdale Backpackers & Camping are very pleased to welcome BoudiccHare for a week’s rest and relaxation before the hard work of the GoGoHares Trail begins. BoudiccHare will be in Burnham Deepdale until about 5pm on Tuesday 19th June. 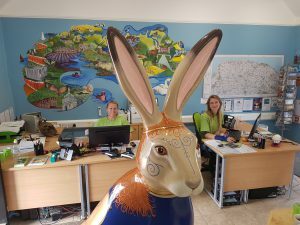 BoudiccHare has made her form in the Deepdale Visitor Information Centre after checking out the shops, café, backpackers hostel and campsite in Burnham Deepdale. “Its always nice to welcome royalty to Burnham Deepdale, and we couldn’t have asked for a higher royal than the Queen of the Iceni. Particularly nice that she’s staying with us for a week, and is very welcoming to visitors.” said Jason Borthwick, one of the crew at Deepdale Backpackers & Camping. Visiting is of course free, but BoudiccHare thanks anyone who leaves a donation for Break charity. BoudiccHare is sponsored by a collective of small businesses called the Friends of Iceni. All Norfolk businesses and associations, who gathered together to support Break charity’s GoGoHares initiative. The sponsorship pays for the hare and the artist. 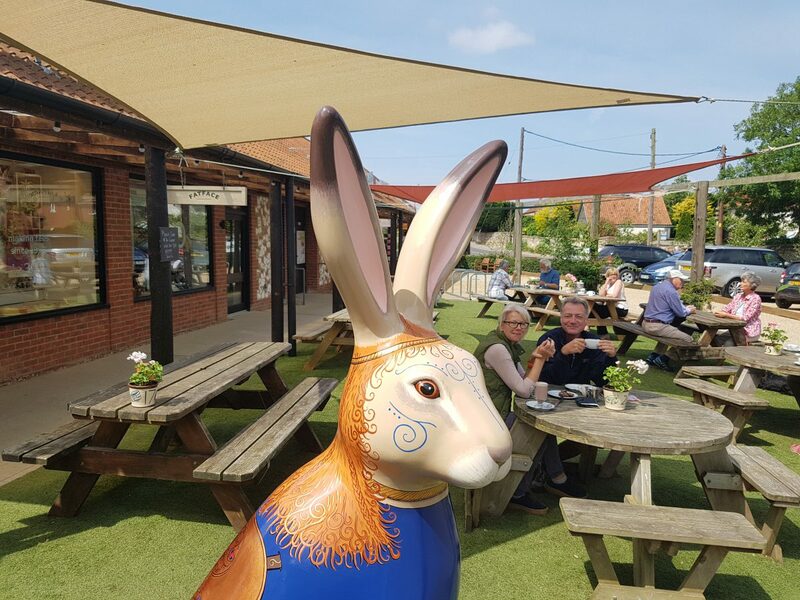 The hare then entertains visitors to Norwich during the trail, before being auctioned off to raise valuable funds for Break charity.